PETALING JAYA (13 June 2013) –The Malaysian national team fell flat in their third and final friendly in their tour of Australia with a 2-0 loss to Marconi Stallions FC this evening. 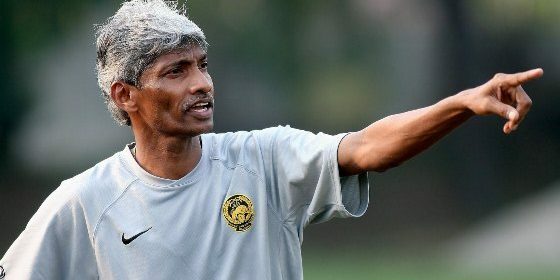 Datuk K. Rajagobal (pix) and his men simply had no answer to the more efficient Marconi Stallions side – the defending champions of the New South Wales Premier League – with the goals coming off Milorad Simonovic (in the 42nd minute) and Tadgh Purcell (45th). Malaysia had begun their trip to Australia with a 3-2 loss to Canberra FC before beating Sydney Olympic FC 4-0 in their second friendly two days ago.